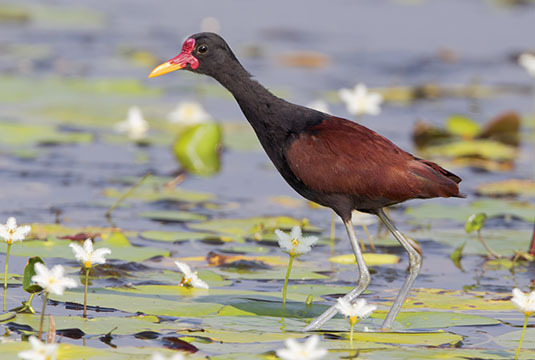 Jacanas are common on freshwater lakes and ponds across much of the tropics; they rarely get into the extreme southern US in Texas or Arizona. 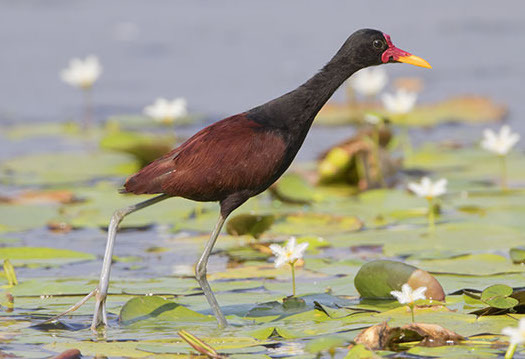 All jacanas have extraordinarily long toes that let them walk across water plants and soft mud without sinking. 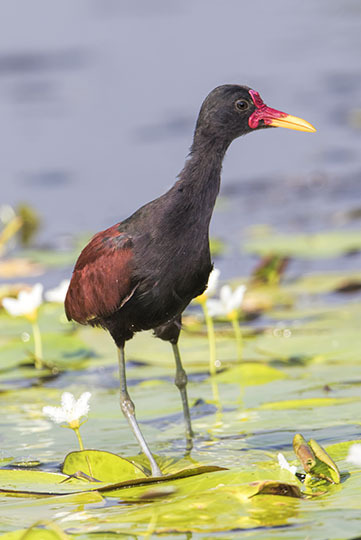 All (as far as I know) are polyandrous, with females larger, more colorful, and more aggressive than males -- unusual among animals. 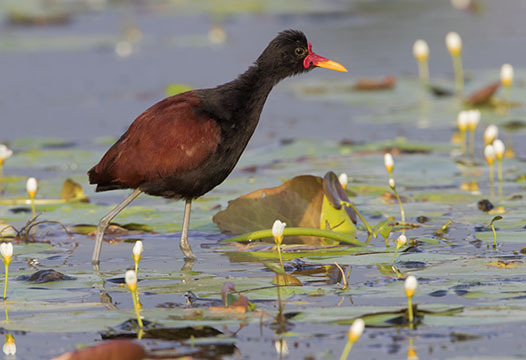 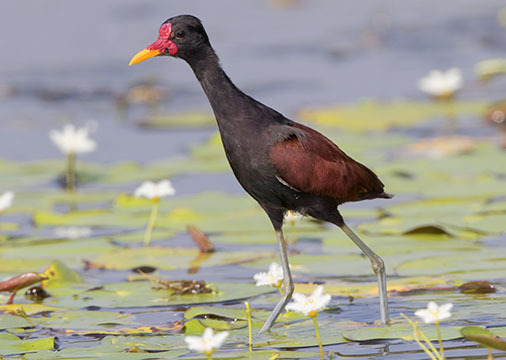 These were photographed near Cali, Colombia; pictures of the Australian comb-crested jacana are here.